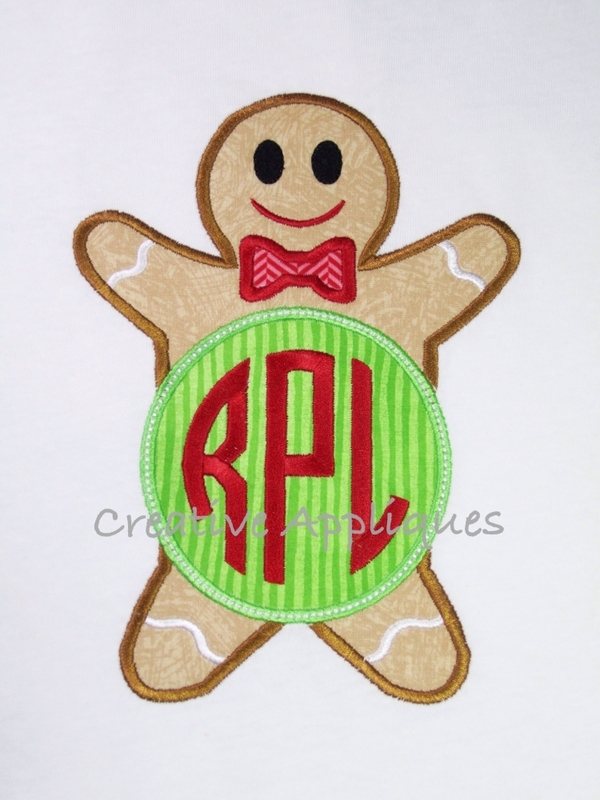 Gingerbread Boy Monogram Applique - 4 Sizes! 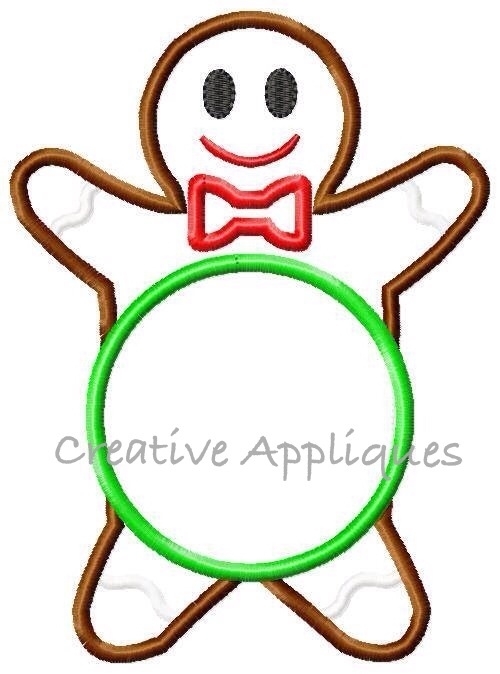 Gingerbread boy is fabulous for adding either a single letter or 3 letter monogram to the in-side of his belly. (No fonts are included with design). He comes in 4 sizes including 8”x8” (Durkee/Fast Frame users). Candy Cane Tree - 4 Sizes! Reindeer Boy Applique - 4 Sizes!